International pressure is growing on the Tanzanian government to shelve its controversial plans to build a two-lane highway across the Serengeti, one of the most important wildlife sites in the world. Scientists claim that the road will slice directly across the annual migration route of 1.5m wildebeest, effectively destroying the life cycle of the species and bringing the ecosystem of the national park crashing down with it. Amid growing anger from conservationists, scientists, tourists and holiday companies, the German government said last week that it would put money into an alternative route, looking at building new roads in areas bordering the Serengeti on the eastern and western boundaries without crossing the actual park. Germany also indicated this weekend that it would favour financing an international feasibility study for a southern bypass around the national park. So far the Tanzanian government has made no response. The wildebeest migration is one of the greatest wildlife shows on Earth, accompanied by tens of thousands of gazelles and zebras and their outriders, predators that include lions and hyenas. The herds go on an annual 500km round trip from the southern Serengeti to the northern edge of the Masai Mara in Kenya. The proposed road is planned for the northern part of the Serengeti, linking the Lake Victoria area with eastern Tanzania. Environmentalists are damning about the project, which they say will establish a damaging precedent, implying that Africa’s ecological and wildlife assets are up for grabs. Andrew Dobson, professor of ecology and evolutionary biology at Princeton University, led 27 wildlife experts who signed a letter to the government, begging it to reconsider the road. “Not only would we lose huge numbers of wildebeest who would simply die out, there would be the knock-on carbon effect,” he said. The German move comes after the World Bank also intervened to offer the Tanzanian government help in financing an alternative route. In a letter to President Jakaya Kikwete, a leading American Serengeti expert, John Adams, urged him to accept the offer or risk losing western aid. He said that other environmentally unfriendly projects being pursued by Tanzania, such as an extraction plant at Lake Natron in Arusha that threatens the lake’s flamingo population, risk alienating the international community. But to date, Kikwete has insisted that plans for the $480m (£300m) Arusha-Musoma road remain on course. The migration, which begins in April, when the wildebeest start to leave the depleted grasslands of the southern Serengeti, attracts tens of millions of tourist pounds. A road will not only force the animals to overgraze in the south, leading to the dramatic reduction in the sizes of the herds, but also allow in invasive species and lead to greater poaching. The Tanzanian Minister for Natural Resources, Shamsa Mwangunga, has made it clear that the road was a campaign promise made by Kikwete in 2005 that the administration is determined to carry out. She said the main reason was to help the country’s people, whose only present option to get across the country is a 418km route that skirts around the southern end of the national park. The route is expected to carry 800 vehicles a day, mostly trucks, by 2015, and 3,000 vehicles a day – an average of one every 30 seconds – by 2035. “Those criticising the road know nothing about what we’ve planned,” she said. “We’re all keen to preserve our natural resource. We’ll never compromise on that.” She said the road would not affect wildlife migration patterns because a 40-mile stretch would be left unpaved. This month a coalition of Tanzanian organisations petitioned the government to reconsider. The Mazingira Network said the road would compromise the ecological integrity of the park. “Direct, indirect and cumulative impacts… to the ecology would be significant,” said its chairman Zuberi Mwachula. He said the scientific consensus was that if constructed the road would, in a matter of decades, destroy the wildlife migration routes. Two alternative routes have been proposed that would allow the movement of trade to western Tanzania by going south of the Serengeti and north into Kenya, both are longer and more expensive construction projects and would mean an election promise broken to the tribes of the northern Serengeti. Leakey even suggested a raised road, elevated as it crosses the Serengeti so that the animals could move freely below it. But the cost and upkeep implications are huge for the economy of any African state. “It is a responsibility of the Tanzanian government to play its role in protecting the countries natural resource asset base for future generations, and by deliberately taking an action that could degrade one of the great spectacles of wildlife on the planet is a very heavy responsibility,” he said. 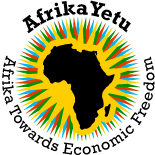 This entry was posted on Mar 28, 2011 by AfrikaYetu in Int. News.